Trial-Based Cognitive Therapy presents a model that, although still inherently Beckian, organizes known cognitive and behavioral techniques in a step-by-step fashion in order to make cognitive therapy easier for the new therapist to learn, easier for patients to understand, and simpler to implement. Based on and backed up by a series of published studies, Trial-Based Cognitive Therapy lays out structured strategies for changing core beliefs about the self, and its clear, coherent, integrative conceptualization of psychopathology is presented as an easy-to-remember case-formulation model that is useful for both the therapist and the client. 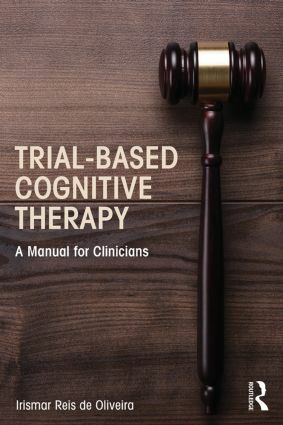 This book introduces a new approach, the Trial-Based Cognitive Therapy (TBCT), whose main technique, the Trial-Based Thought Record (TBTR), is a structured strategy to change core beliefs about the self and is presented as a law-centered analogy in which the therapist engages the client in a simulation of the judicial process. Perfect for psychotherapists at any level, Trial-Based Cognitive Therapy presents a balanced blend of theory advancement, scientific scrutiny of a new method, and practical application.